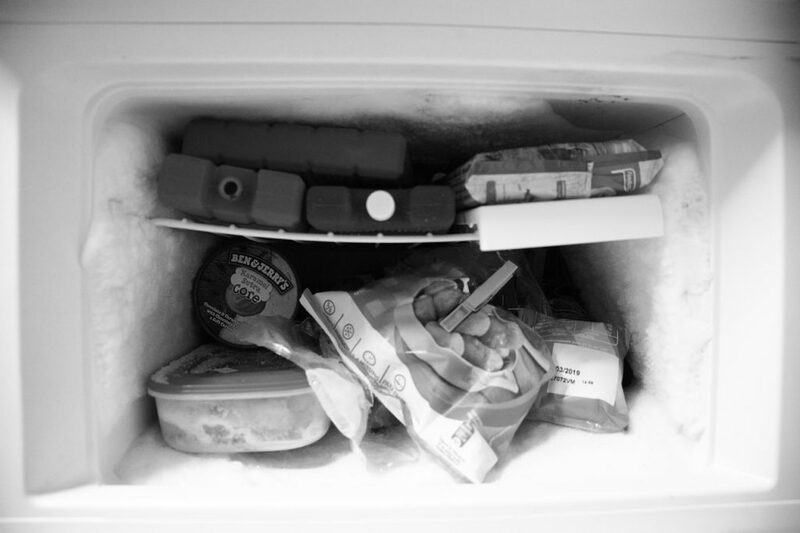 A broken refrigerator is a problem that you will want to avoid at all costs. However, there are times when your refrigerator breaks and you need to know how to fix it. The steps you have to take to troubleshoot your refrigerator will vary depending on the problem you are facing and sometimes you need to consider appliance repair. If your refrigerator is creating puddles, you need to act quickly. The most common causes of these leaks will be the water supply lines that run to the ice maker. When there is a leak with these lines, the water will start to pool beneath the fridge. The first step in troubleshooting this problem is to check the water supply lines. If there is a leak at the inlet valve of the line, you will need to tighten the compression nuts to seal it. If you have a copper or plastic tube which is leaking, you will have to replace them. Water puddles can also be formed by your fridge not being level. This is due to the fact that water drain from your fridge to a pan where it will evaporate. If the pan is at an angle, the water will run out of it. The easy solution to this problem is to place your fridge on a level area. 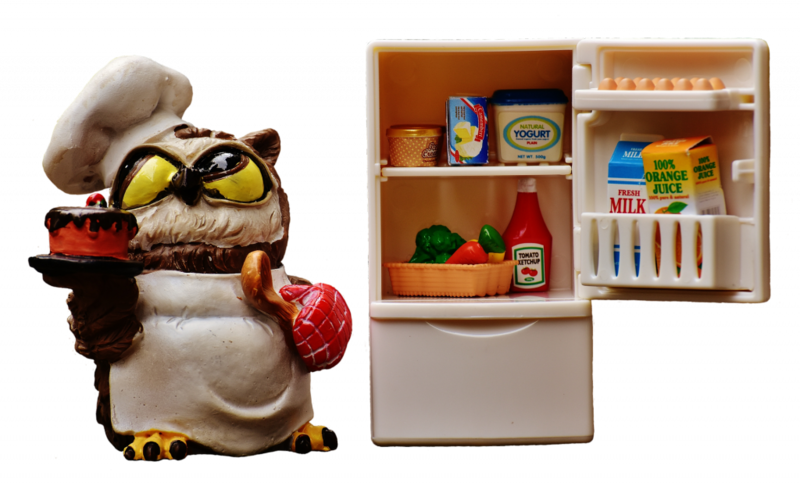 One of the most common problems that people have with their refrigerators is that they are not cooling correctly. There are a number of causes for this problem and you need to consider all of them. If the light in your fridge does not turn on when you open the door, you should check the electricity supply. There are times when the breaker trips and will need to be reset. Another quick fix for this problem is to check the temperature control. This dial is a favorite toy for curious children and could be set too low. If the temperature control is fine, you need to check the vents in the compartments to ensure that they are not blocked by food as this will stop the cold air from circulating. If this still would not work, you have to consider an appliance repair before it gets any worse. You should also consider cleaning the coils of your fridge. 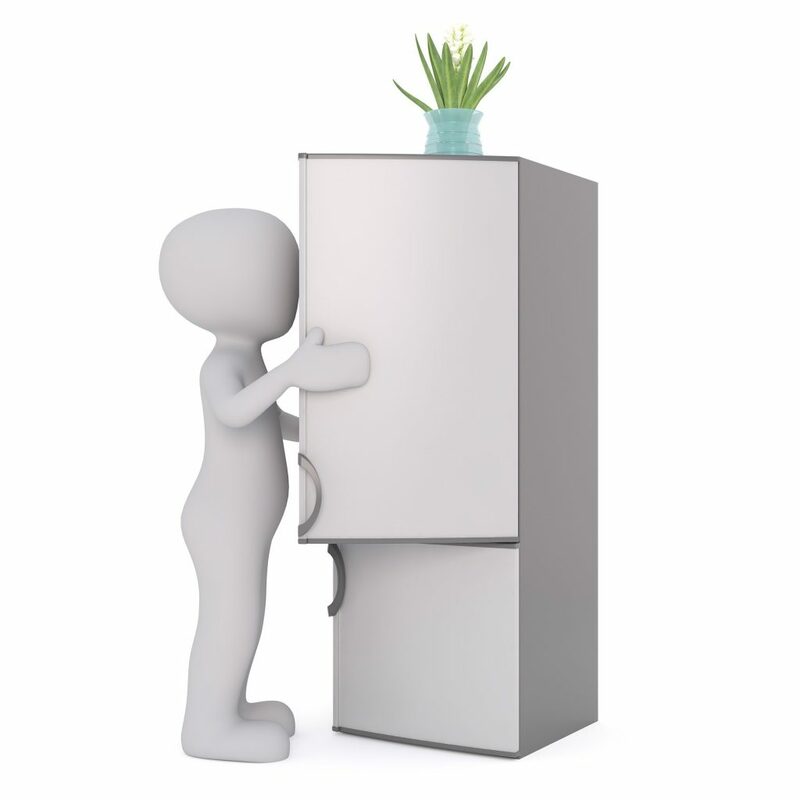 To create cool air, your fridge will use condenser coils and these are generally found in the back of older fridges. Newer refrigerators will have their coils underneath where they can get blocked by dust. It is recommended that you clean the coils of your fridge regularly to ensure that it works correctly. Most people take their home appliances for granted. This can result in appliance breakdown and you probably don’t know what the problem with the machine is and what you should do to fix the problem. So, what can you do to solve the problem? Ideally, you should get help from a professional, or you could the fix the household appliance yourself and save money. 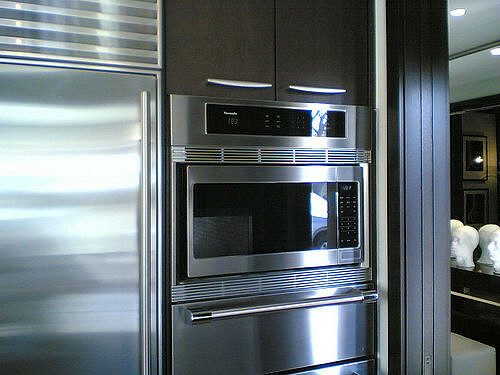 You can easily find and contact a professional qualified to offer appliance repair Indianapolis IN. 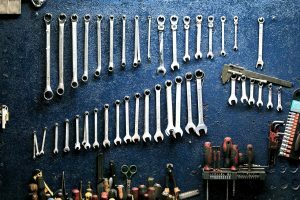 If you are planning to fix the appliance yourself, this article will provide all the information you need to fix the appliance. All major appliances use AC current from the electric wiring of your house. While small appliances work on 110-120-volt circuits, large appliances usually require 220-240 volt wiring. Most small appliances are simple machines that come with a few parts such as fan, blades, element, shaft, and several other small parts. On the other hand, large appliances are complex and have several parts. In these appliances, problems can occur in the components or the control devices. When a major appliance such as a refrigerator or washing machine breaks down, it is important to diagnose the problem and fix it with the help of an appliance repair Columbus OH expert in. Diagnosing the problem is not easy, as you must find out whether the problem is in the mechanical or control device. For instance, in a dryer, the mechanical devices turn the drum and the control devices control the heat. So, if the drum is turning properly, but the machine does not heat, the problem is in the control devices. On the other hand, if the drum is not turning, but the dryer heats, it means the problem is mechanical. Before you start repairing a major appliance, here are some simple rules you cannot afford to ignore. a) Make sure you disconnect power supply to the machine. If you turn on the appliance after completing repairs, don’t touch the machine. Just, observe the machine. If you need to make a change, switch off the power supply before making the change. c) When repairing a damaged part, make sure you get a part that is designed especially for your machine. If you are unable to get the exact part, you should contact the manufacturer to find out where you can get a replacement. i) Make sure the appliance is properly plugged in and the outlet is working properly. You can use a voltage tester to check the condition of the outlet. ii) Make sure the fuse that controls the circuit is not tripped or blown. Check for tripped or blown fuses at both the separate and the main panel. iii) At times, the fuse or breaker of the appliance may be tripped or blown. If the fuse is blown, replace it immediately. Tripped fuses may be restored by pushing the reset button. 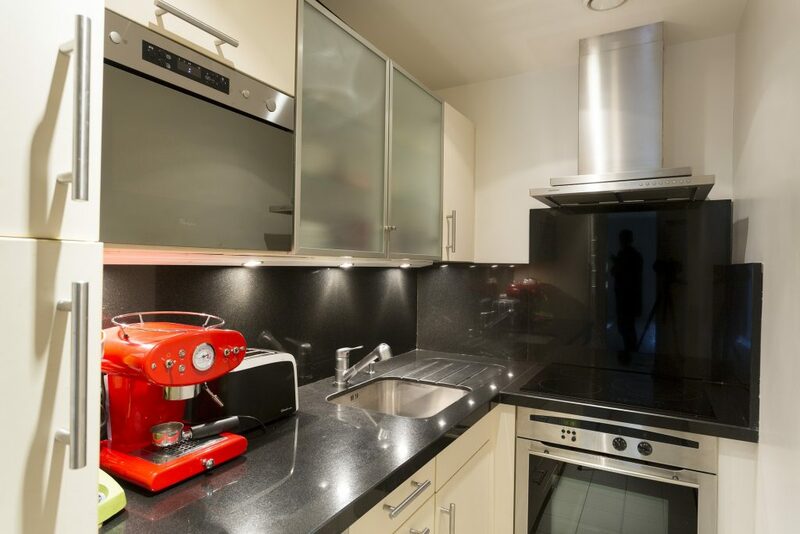 iv) If the appliances use water or gas you can make sure the appliance received adequate supply of water or gas. All appliances are different, but the disassembling process is usually the same. Before removing the parts, you must check the owner’s manual for instructions and assembly diagrams. The removed parts must be placed in an orderly manner, as it is easy to put the appliance back together. Label all the wires and terminals and don’t remove more than one wire at a time. Before you reassemble an appliance, vacuum inside it to remove lint and dust. If you suspect that there is any other problem with the machine, make the required adjustments yourself, but if that proves difficult call for an appliance repair New York technician that has years of experience. If the machine has a motor, make sure you lubricate it. Reassemble the machine in reverse of the way you removed the parts. Avoid forcing the parts together, as it could damage them. If your machine makes noise or overheats when you connect the power, turn off the machine, and disconnect the power supply. You should then call a trusted company providing reliable appliance repair Los Angeles services or in your city to solve the problem. Large machines, whose plugs have a prong and two blades, must be grounded using a special adapter plug or it must be plugged into an outlet that is grounded. Proper grounding is a necessity for appliances that have a metal body. This will reduce the risk of shock. The components of power tools and appliances that are double insulated are isolated from parts that carry electric current. However, it is not safe to assume that they are completely shockproof. For instance, you should never drill a hole in the wall that has a power line. Also, these appliances and tools must always be repaired by a professional, so contact one for appliance repair Phoenix same day appointments. Almost all appliances have common components such as power cord and plug. If you learn to repair the power cord of the washing machine, you can use the same skill to repair the power cord of your refrigerator. A major cause of breakdown of most appliances is a worn out plug or power cord that don’t make proper electric contract. To avoid problems with your appliances, you must check all sockets and cords periodically and replace the broken or frayed cords immediately. If you suspect that the power cord is faulty, remove it from the appliance and test its condition using a continuity tester. Similarly, you can test the condition of the plug and socket using a normal tester. The most difficult part about replacing the cord is to determine how to disassemble the appliance so that you can remove the damaged cord and replace it with a new one. At times, removing a small cover will do the job. In other cases, you have to partially or fully disassemble the machine before you can reach the terminals. To remove the power cord, pull the pressure connectors, loosen the clamp, or remove the terminal screws. After fixing the new cord, make sure you connect the wire firmly to the connectors. If the plug is faulty, you attach the new plug to your old power cord. Before replacing the plug, make sure the conductor wires are properly attached to the screw terminals of the plug. If the wires are loose, tighten them and check if the machine is working; else, replace the plug and if that doesn’t work, get the help of qualified technician for proper appliance repair Philadelphia in home services. The gasket is responsible for improving the efficiency of the appliance and preventing air and water leaks. If the gasket of your appliance fails, you must replace it immediately. To check whether the gasket is faulty, visually inspect it for signs of tear and cracks. Also, the gasket must be spongy, if it is hard, replace it immediately. When replacing the gasket, make sure you get one that is made specifically for your appliance. Avoid using the universal gasket that fits all appliances. To replace the gasket, just remove the old gasket and clean the area with liquid detergent and warm water. Dry the area, install the new gasket, and use gasket cement, if required. Make sure the gasket is positioned smoothly and properly, with no part curled under or sticking up. The electric wires in your appliance may be connected to the parts in several ways. This includes the push-in terminals, screw-terminals, and the sleeve type terminal. They can also be connected with solderless connects known as wire nuts. When replacing a damaged component, you must connect each wire properly. Before you disconnect a wire, you must know how it is attached to the component. When the new component is installed, you must attach the wire in the same way. This part consists of several electrical contacts in a mechanical housing. The switch may stop working when there is a problem with the housing or the contacts. If the switch is not working, check whether the contacts are misaligned or dirty. At times, cleaning these contacts with fine cloth can solve the problem. If they are misaligned, just bend the contacts back into place. At times, loose terminal screws may be responsible for the problem. You can tighten the terminal screws and check whether the switch is working. If the terminal screws are corroded, you must replace the switch. If you have completed these tests and the switch is still not working, you can check the continuity using a multi-meter. Faulty switch must be replaced immediately. Before changing the switch, make sure you disconnect the power supply to the appliance. The thermostat is a component that is responsible for controlling the temperature in a cooling device or heating element. The thermostat used in your machine can either be bimetal thermodisc, gas filled bellows, or bimetal strip. Faulty bimetal thermodisc and bimetal strip thermostat must be replaced. However, faulty gas filled thermostat can be repaired by an appliance repair Seattle Washington professional repair service company. Once you access the thermostat, you can check its condition using a continuity tester. When replacing the faulty thermometer, make sure you follow the instructions of the manufacturer. Large appliances usually perform several functions. For instance, your washer may have several cycles. The electronic components of the appliance are responsible for controlling the water flow, heat, motor speed, fuel flow, and several other variables. The important components that control these variables include the relays, solenoids, and sensors. Heating elements are made of high electrical resistance metal. When electric current passes through the element, the resistance prevents the current from flowing easily. The current must work to pass through the element and this work produces heat. When the power supply to the element is cut, the element cools. If you suspect that the element is not working, you can check its condition using a continuity tester. Since some elements have very high resistance factor, it may produce only a dim buzz. This does not mean that the element is faulty, but rather that it is working efficiently. Appliances that have several cycles are usually controlled by a timer, which is a rotary switch powered by a synchronous motor. The timer usually consists of a shaft, gears, and several arms, one for each cycle. When there is a problem with the timer, it must be replaced. An appliance repair Denver Colorado service professional may be able to repair the timer, but it can be more expensive than a new timer. You can check the condition of the mechanical timer using a continuity timer. Before checking the condition of the component, make sure you disconnect the power supply to the machine and remove all the wires connected to the timer. Make sure you will be able to reconnect all the wires you have removed. Most old gas appliances have pilot lights that give you instant ignition when you turn on the gas. 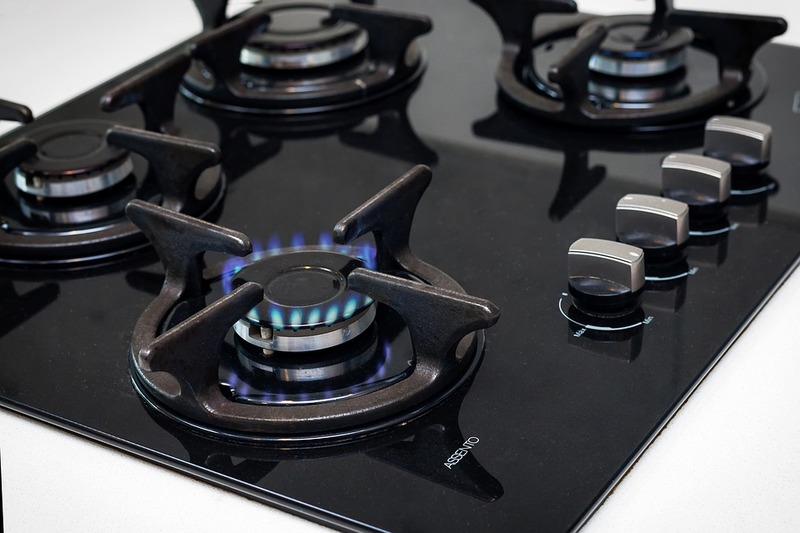 The gas appliance may not work properly when the pilot light is blown or when the gas flow is misdirected or obstructed. In modern appliances, the glow bar or a sparking device may be used to achieve ignition. In some appliances such as water heater or furnaces, the pilot light may be accompanied by a safety device known as a thermocouple. The thermocouple is a heat sensor that turns off the gas when the flame is extinguished. If you suspect that the pilot light is not working properly, you can adjust the pilot flames by turning the adjustment screws on the gas. When doing so, you must follow the instructions of the manufacturer. The motors of most modern appliances are long-wearing and dependable. You can prolong the life of the motor by cleaning and lubricating them regularly. Also, use the motor sensibly. Avoid abusing or overloading them, as it could get damaged. A) Large appliances that require 220-240 volt must be connected only to a 220-240 volt outlet. Also, make sure the appliance is grounded to reduce the risk of shock. B) Avoid using appliances when your hands are wet. This can damage the wiring and increase the risk of shock. C) You should not overload an appliance. When you overload an appliance, it can cause the motor to overheat and damage it. If the motor turns off when overloaded, you must reduce the load before restarting. The most common cause of motor not working is the wearing down of carbon brushes. These brushes are soft carbon blocks that complete the electrical contact to the commutator. When the brushes are damaged or worn out, the electrical contacts are incomplete and the motor may spark. You can check the condition of the brushes by visually inspecting it or using a test it with a multi-meter. Before checking the brushes for continuity, you must disconnect the power supply to the machine. Also, remove all the wires connected to its circuit. If the brushes are damaged, they must be replaced. At times, the springs behind the motor may also be damaged. Make sure you replace the damaged springs as well, when you replace the brushes. When replacing the brushes and springs, make sure you get new ones that are specifically designed for your motor. You will need the number and make of the motor when getting these replacements. The new brushes and springs must be inserted in the brush holder. You can secure the new brushes with screws that held the old motor brushes. In case of serious malfunction, you should get the help of a professional experienced in home appliance repair Jacksonville, FL repairman, who will either repair or replace the motor, depending on its condition. Be extremely careful when repairing motors at home, especially capacitor-start motors. These motors have electricity stored in the capacitor that is used to provide extra starting power to the motor. Since capacitors store electricity, even after the power supply to the machine is cut off, it can be dangerous to repair the machine, especially for a newbie. If you have capacitor-start motor, you must discharge the capacitor before attempting repairs. Your best option is to always find the most reliable appliance repair service technicians that can get the job done properly and avoid any risk of getting exposed to unnecessary safety hazards. With so many dishwasher models available in the marketplace, it is not easy to select the right machine for your home. Here are a few tips to make your task easy. Most modern dishwashers have a limited number of “place setting capacity”. The place setting capacity of a dishwasher refers to the number of plates and utensils the household appliance can handle in one wash. If you are unable to fit a standard dishwasher in your kitchen, you could buy an integrated, slimline, semi-integrated, or a compact model. The cleaning capacity of the machine will depend on the size of the machine and the number of racks available in the machine. Like most residential appliances, the programs available in the dishwasher will vary from model to model. Usually, most dishwashers will have up to 5 different wash settings and a rinse cycle. The difference in wash temperatures will usually be the only difference you will find in the main wash program. The “eco setting” will maintain the temperature of wash at around 30-40 degrees. Other settings of the wash program will increase both the duration of the wash and the temperature. In high-end model, you will find several additional features including many tailored programs such as half load or glass clean. These machines may also have sensor features that are designed to help the machine adapt to different loads. It will increase or decrease the water required depending on the load inside the machine. One of the methods, used by the dishwasher, to dry out the dishes is to use the heat generated from the washing process. However, some expensive machines may offer a drying assist option. Machines with drying assist option usually use heated air or a fan to speed up the drying process. There are four important factors to consider when using the dishwasher including dish placement, heat, spray arms, and the detergent. The machine’s spray arm controls the distribution of water inside the machine. These spray arms are designed to ensure that there is no blind spot in the machine. The most common types of spray arms you will find in most dishwashers include traditional spray arm, additional spray arm, satellite spray arm, and Water Wall Jet Washing system. Most items will clearly state if they can go into the dishwasher or not. Certain items that cannot be put in normal machines can be put in dishwashers that have low temperature option. However, it is better not to take chance with the item and you should wash it with hand. The ideal place to fix this house appliance repair Fort Lauderdale is as close to the sink as possible. This will make plumbing easier. You should install a water softener to maintain the performance of the machine. If water softener is not installed, it can increase the risk of failure and frequent dishwasher repair. You should also add dishwasher salt to reduce the risk of damage to the machine. If there is any problem with the machine, it is best to call a dishwasher technician to service and repair the machine. It is in your interest to call a special dishwasher technician, as oven service technician or fridge repairman, who also repairs dishwasher, may not repair the machine to your satisfaction. Home appliances are made to work harder and they serve us year after year if given good care. These machines can however break down from many reasons ranging from poor handling, electric faults or mechanical problems. Major appliance failures in your household are sometimes unpredictable but sometimes pose warning signs of malfunction. Don’t wait until your appliance breaks down so that you can get a screwdriver to fix the problem. 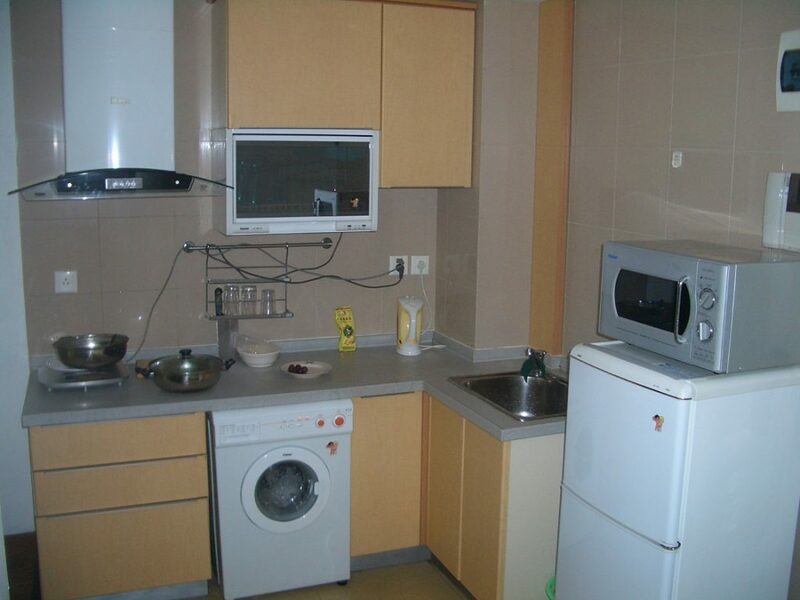 You need to call professional appliance service if you read any signs of failure. This is an easy tell-tale sign that you need appliance repair. If your major house appliance like refrigerator is not working as it should, then you need it to be checked by a professional repairman. Consider professional help more than a DIY repair for your safety and protection of your appliance from your limited skills. 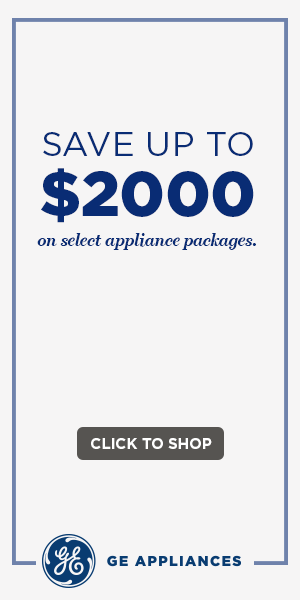 Calling a reputable Appliance Repair Houston Texas company can be very rewarding. Knowing how your appliance functions is essential. 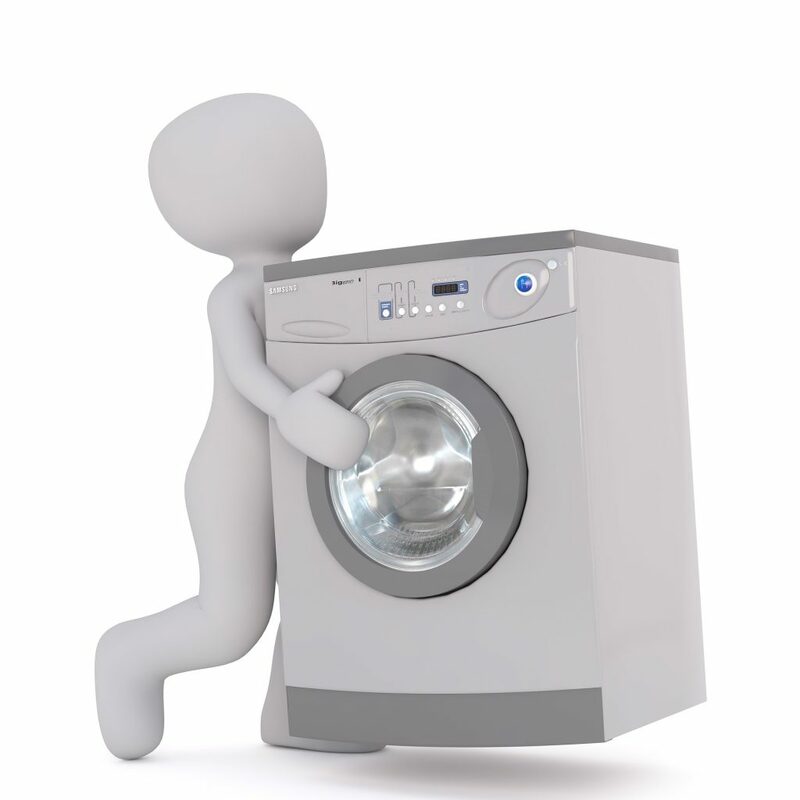 Common appliances like refrigerators or washing machines have their distinct sounds. Humming, buzzing, clunking or clanking sounds are however not usual and are a good indication that you need appliance service. If your appliance sparks whenever you attempt to plug it in or operate it, then you could be having circuit breaker problems. For safety in your house, first disconnect power to your appliance at the breaker box and immediately call a licensed electrician or professional appliance technician. Circuit breakers will normally trip when you overload your circuit. Cutting the electrical supply will enable the breaker to prevent overheating in the wiring and stop a potential fire disaster. Note that old breakers trip often. Occasional tripping may also be sign of overloads but the help of an electrician is always vital. Flickering lights when you operate a particular appliance can signal a loose or faulty bulb. Try to replace the bulb but if that doesn’t work, contact your residential electrician. A burning odor from your switches or outlets may be caused by overloading or faulty wiring in your home. This could also indicate the onset of an electrical fire. Turn off the power at your electrical panel if you smell any burning odor. Electrical cords and receptors that feel warm to the touch also indicate an electrical problem. Don’t use your appliance if these signs show up, call professional electrician to do appropriate repairs. Always keep in mind that trying a DIY appliance repair when dealing with electronics can compromise your safety and that of your property. Keep the contacts of a professional service technician for emergency help with your faulty electronics. First, check if there is power to the appliance. Your electrical socket may be malfunctioning, the plug may be faulty or it could be due to loose wiring. Take another appliance, such as a hair dryer, and plug it into the socket – if it’s working, the socket is not to blame. If it doesn’t work, call an electrician to repair the socket (after checking the main power board). Next, unplug the appliance and check the plug for loose wires. Replace the plug and see if the appliance works. If not, open the appliance and look for loose wires (only if the guaranteed has expired). Fix any loose wires that you can or take the appliance to a reputable repair person. Another common reason why appliances malfunction may be due to a blown fuse. Read the user manual to find out where the fuses are located. If you don’t have the owner’s manual look it up online. Replace any fuses that appear to be blown with new ones that are exactly the same and can be purchased from your local hardware store. Any appliance that uses water will automatically stop working if it does not get the necessary water flow. First, check that it is properly connected to a water outlet and that water is flowing from the outlet. Then check for any blockages in the pipes or connections that may be preventing the flow of water. If you cannot identify the problem but are sure that the appliance is not receiving water, call a plumber. The rule of thumb here is to call a professional repairman, electrician or plumber if you are unsure of how to repair an appliance. Buying a home is one of the most important investments a person can make. When you make the decision to pick a place where you will most likely live for anywhere from 7 to 12 years it is wise to ensure that you are comfortable with the property. The last thing you want is to purchase a home only to find a variety of problems unfold months down the line. This is why it is wise to have a home inspection. 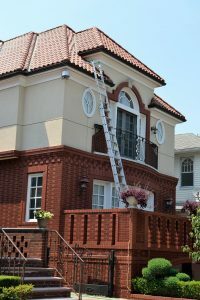 Take a look at all of these valuable tips for a proper home inspection so that you know the process is completed properly. The first thing to lookout for during a home inspection is to question the inspector’s credentials. See how long they have been doing business. Get familiar with the inspector and take a tour of the home. Should you find anything that appears of a concern with the naked eye then ask the inspector how they feel. Allow the inspector to complete their work and then ask about the major aspects of the home that may be a concern. Ask the inspector about the plumbing, roof, electrical and foundation. These areas are the most important. Once you are given a breakdown of the home inspection it is time to evaluate how you feel about the home. Once the home inspection is complete you can now make a better decision on whether or not you want to proceed with the purchase of a home. A seller should be willing to fix any major damage that needs repair, but that is always negotiable. Whatever happens just remember to consider the overall investment of your home and the opportunity presented. 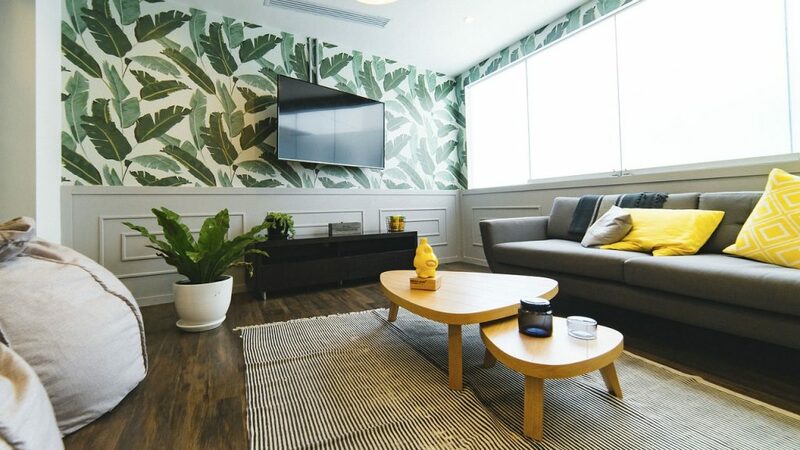 A home inspection is a big factor on whether or not you can proceed to purchase a home so keep that in mind and enjoy the process from start to finish.